The competition proposal creates a new place for a new community; families returning to the heart of the city. A range of dwelling types cater for the full lifecycle of a family from a couple, through expansion for children, to contraction to a couple again. 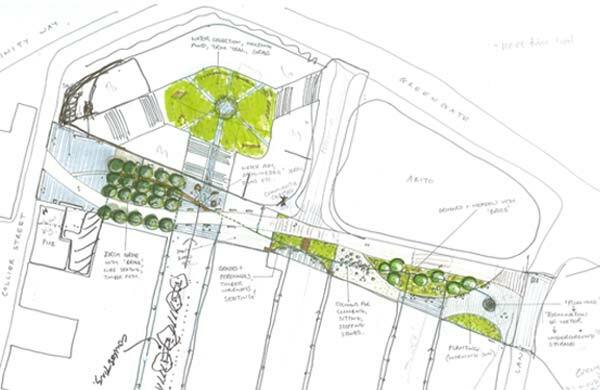 A linear park creates a strong connection through the site, running through a series of landscape treatments including a public square, a birch grove, a wildflower orchard and areas for water play. 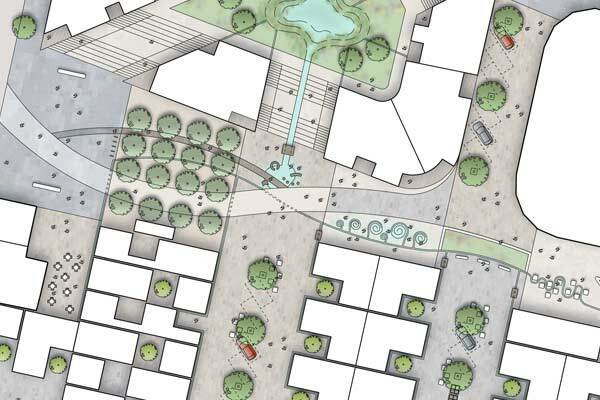 Shallow water channels running through the linear park form part of the SUDs strategy, animating the landscape and creating opportunities for pleasure and play. Residential streets are home zones where pedestrians and children playing have priority over vehicles. Private courtyards provide residents with their very own fruit tree, while edible gardens on roof terraces and an orchard create opportunities for food sharing and the creation of a sustainable local community. 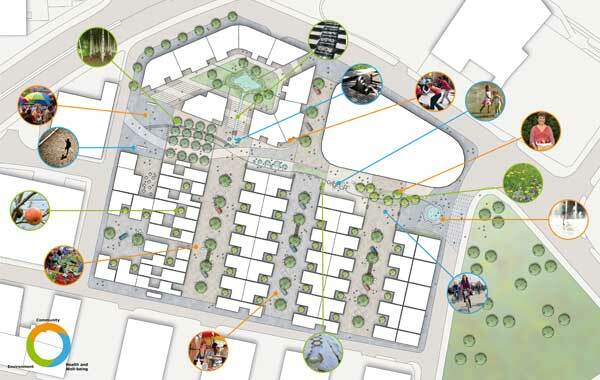 Carolyn Willitts was the project landscape architect and created the landscape and masterplan graphics.